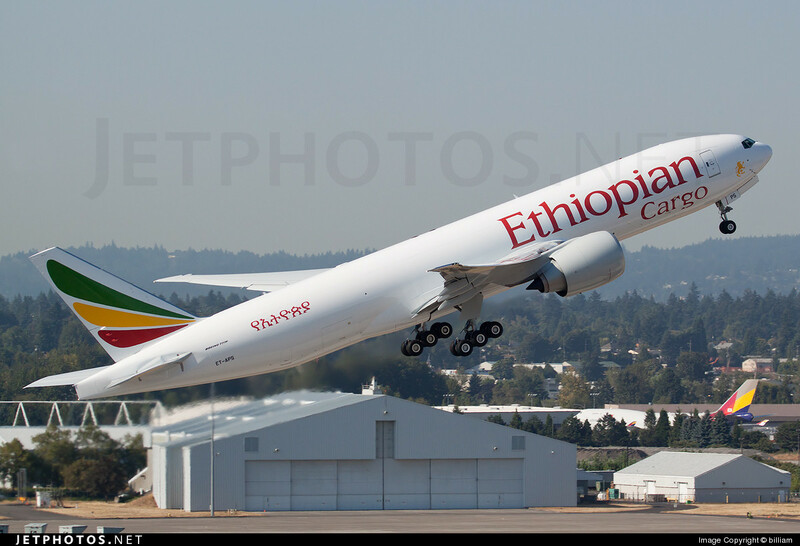 • The African Aviation Tribune •: ► ETHIOPIA: Ethiopian Airlines Cargo set to receive its first Boeing 777F in late September. "The B777 Freighter aircraft is unparalleled in its category with its long-range capability, exceptional cargo uplift, special capabilities in temperature control for fresh produce and life science materials, and fuel efficiency. As a result, we will deploy this aircraft on longer routes for carriage of flowers, fruits, and vegetables to expand and improve our cargo services." The new 777 Freighters will form part of Ethiopian's growing cargo fleet which presently consists of two Boeing 747-200F, two Boeing 757-200PCF and two McDonnell Douglas MD-11Fs and will provide adequate capacity for Ethiopia's fast growing horticultural products export market.